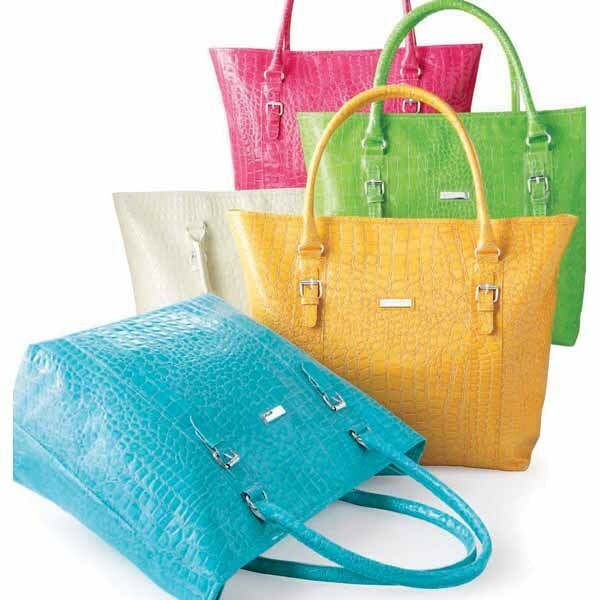 Babblings of a Mommy: ULTA Steals and Deals! You guys have to know how much I love ULTA by now, right?? If you've never been to an ULTA I have to tell you--honestly it's what heaven looks like for a make-up freak like me. Every time I walk in I hear a chorus of angels just singing in my ear......ok, well not really but you know what I mean! It's truly one of my favorite places to be and one of the main reasons why is because they always have great deals! 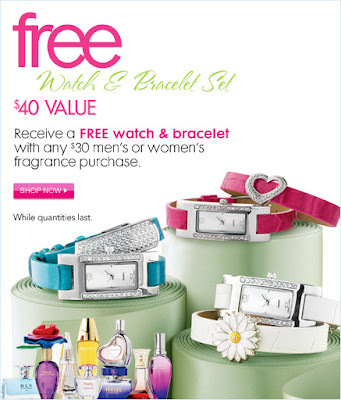 From Now to April 9th you get a FREE bracelet AND watch with a $30 fragrance purchase! They also have advertised a FREE Hampton Tote with a $30 fragrance purchase too. I don't know if you get to choose from both or if it all depends on what your local store has in stock. Either way they're a great steal because they're BOTH valued at $40! Also don't forget that they're having a Buy One Get One FREE sale! Everything ULTA Brand: Cosmetics, Minerals, Implements, and Beauty Tools. What have you bought at ULTA lately? Let me know!